At Shere School we pride ourselves on the quality and creativity of our young writers. We encourage our pupils to adopt styles of writing appropriate to the audience and context whether descriptive, factual or creative. 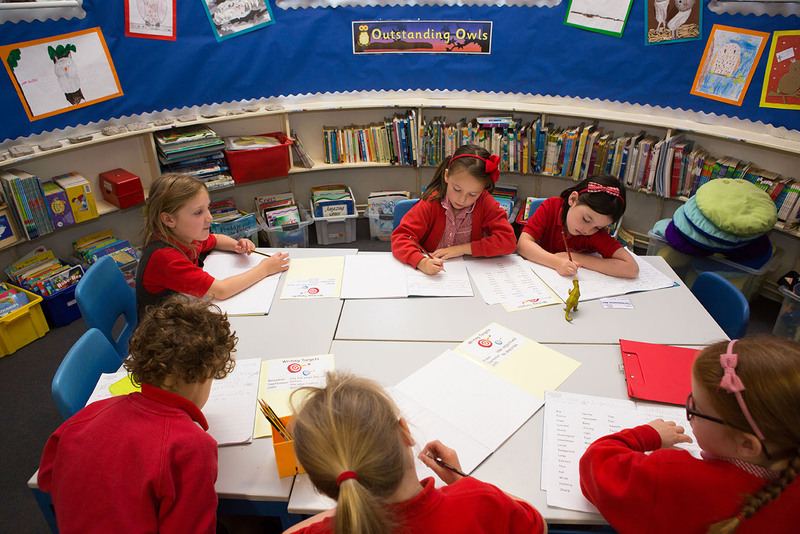 Enjoyment and confidence are instilled in the children as writers so that they produce writing that is legible, organised, informative, creative and accurate. This, in conjunction with reading, will enable our children to ‘play’ and experiment with our rich and diverse language. It is essential that teaching develops pupils’ competence in these two dimensions. In addition, pupils should be taught how to plan, revise and evaluate their writing. Fluency in writing depends on effective transcription consisting of fast yet accurate spelling through knowledge of the relationship between sounds and letters (phonics), understanding of morphology (word structure) and learning orthography (spelling structure) of words. Effective composition involves articulating and communicating ideas and then organising them coherently for the reader. This requires clarity, awareness of the audience, purpose, context and an increasingly wide knowledge of vocabulary and grammar. Writing also depends on fluent, legible and, eventually, speedy handwriting. building upon the links between reading and writing. building upon the reading skills, sounds, blends and patterns learnt during Letters & Sounds (Phonics) and applying this spelling knowledge in their writing. teaching children how texts are structured. ensuring the children participate in shared, guided and individual writing activities in a range of styles. the class teacher modelling the writing process. encouraging independence and responding positively to the children’s efforts. providing key words to enable children to write with confidence. providing opportunities to write for a specific audience and purpose. teaching children the writing processes of planning, drafting, revising and proof-reading in a systematic way. encouraging children to be adventurous in their choice of vocabulary. the use of relevant ICT programs and word processing. Extracurricular events such as Rainbow Writing Day (incorporating ‘Everybody Writes’ scheme). Opportunities for teachers to enhance pupils’ vocabulary arise naturally from their reading and writing. As vocabulary increases, teachers show pupils how to understand the relationships between words, how to understand nuances in meaning, and how to develop their understanding of, and ability to use, figurative language. They will also teach pupils how to work out and clarify the meanings of unknown words and words with more than one meaning. Pupils will be taught to control their speaking and writing and to consciously use Standard English.